Paris is known for being a culinary mecca but finding a place to eat lunch at a budget price can be tricky and frustrating. Below are some suggestions of Paris restaurants near major tourist sites. Near Notre Dame: About a 7-10 minute walk away, Café Med is located on the Ile Saint Louis behind Notre Dame. Food is good and very affordable and the atmosphere is comfortable. Traditional bistro type food like savory crepes and soups. They also offer a “formule” which are preset courses to choose from usually ranging from a entrée (appetizer) and main course, main course and dessert or all three for a set price. Staff is friendly and for the most part understood my broken French. The place is very small and being popular, may mean you have to wait to get in. If you don’t have time to wait, across the street is a second good option of Lys D’argent. Same type of food and pricing. At Lys D’argent, they may try to up-sell you on ordering wine, dessert, coffee, etc but a polite (and sometimes persistent) “non” seems to take care of the issue. Near the Eiffel Tower: About a 15-18 minute walk, Ducale Café is definitely worth the effort. Delicious food at a good price also offering formule options. I would describe this place as slightly more elevated both in terms of food and price but still a comfortable atmosphere. The formule options were more than crepes and soups. The staff is cordial and also managed to understand my limited French. Near the Louvre: About a 7-10 minute walk (if that), Café Blanc is a fun place to eat. By French standards, the service is quick but you don’t feel rushed. Food is simple but very good and reasonably priced. Many around us were ordering hamburger and fries so this might be a good option if traveling with kids. Surprisingly noisy compared to most restaurants. The staff was very friendly and spoke English. Despite using French when we entered, they still handed us an English menu. Ha! Marais: Located minutes from Hotel de Ville and about 12 minutes from Notre Dame, this Italian restaurant is fabulous food at a fairly decent price. I have eaten here for dinner and it is so good! Staff was very friendly. I’m sure lunch here would be great too. If you are looking for more options, one of the best resources is TripAdvisor. Another great resource is Paris By Mouth. If you don’t have time to research before you leave, take advantage of wi-fi in your hotel or apartment and search a bit the night before – will save you time, money and frustration later. 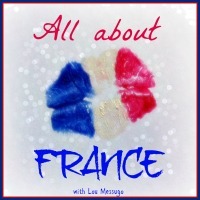 This post is also part of the monthly #AllAboutFrance hosted by Phoebe of Lou Messugo. This is such valuable information for tourists! So many times we get wrapped up into which sites we’ll go to, and we forget to plan where to eat and rest! Great suggestions, and I’d add Cafe du Marche close to the Eiffel Tower and Cafe Benjamin close to Le Marais! Thanks for the additional suggestions Christy. I’ll need to check them out myself too! Bises. Ohhhh I wish I had see this list before my last trip to Paris!! I still managed to find great places to eat, but I love recommendations! I am saving your tips for sure! Recommendations do make it easier. 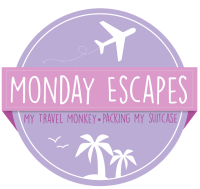 Next trip to Paris, check them out and let me know if you agree! I wish I saw this before I went to Paris! I did find eating out a bit intimidating there, but was also pleasantly surprised that pretty much every restaurant that we ended up eating at was good! I’m so glad you found some great places. Despite so many places, it can sometimes feel like your just rolling the dice. Thanks so much for stopping by! With so many restaurant options, eating out in Paris can feel a bit intimidating. Thanks for sharing your tips! Natalie recently posted…We Heart Zadar. Part 1. You are welcome Natalie. It is intimidating and can be really disappointing if you end up at a restaurant where the food isn’t very good and costs a lot of money. Thanks for stopping by! This is really handy, I will have to keep it in mind. Thanks. Let me know if you try any and what you think. Thanks for stopping by Malinda! Recommendations on where to eat is so helpful. I’m always gathering lists of where to eat in Paris. So many choices! Thanks for stopping by Merlinda! I loved Paris, these are awesome reccommendations I’ll have to keep in mind! We found the best panini shop just a block away from Notre Dame, but it had no name!! Whenever I hear that people are going to Paris I describe to them exactly how to find it because it was soo delicious! I’ll need to get that low down on that panini place! Thanks for stopping by Laura! You are welcome Elena! If you need in more info, just let me know. Bises!